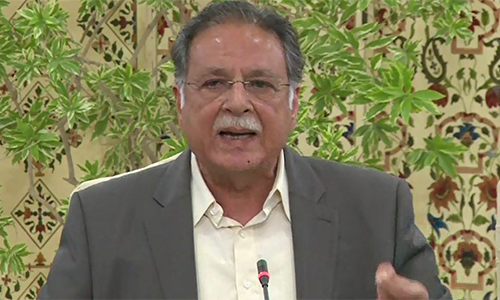 LAHORE (92 News) – Federal Minister for Information and Broadcasting Pervaiz Rasheed has welcomed Khyber Pakhtunkhwa Chief Minister Pervaiz Khattak to the campaign for the NA-122 by-election, asking him to bring the picture of Peshawar as well. Talking to the media on Tuesday, he said that they demanded the vote after showing the picture of the present Lahore. “Prime Minister Nawaz Sharif has given Lahorities a respectable transport. What will the people calling the names of Metro give to the people?” he said. The minister said that they do not run away after leveling the allegation. “PTI chairman Imran Khan knows that every ballot paper will bear the symbol of ‘Sher’,” he said.